Angel Island in San Francisco Bay has been called the 'Ellis Island of the West' because here, between 1910 and 1940, nearly one million immigrants passed through, or were denied access to, America. Japanese, Korean, Filipino, Indian, and Chinese immigrants were questioned, inspected, and processed here at the immigration station. These include an estimated 19,000 Japanese Picture Brides. Due to anti-immigration exclusion acts, over 175,000 immigrants, mostly Chinese, were detained here for months or even years. As a military base from 1850 to 1946, the beautiful one-mile-square island has had a long history of forced confinement. 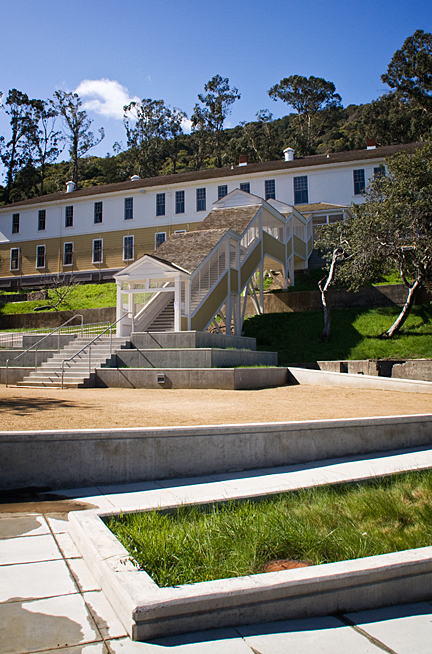 It served as a prison for Native Americans, a detention center for enemy aliens during World War I, a quarantine station for smallpox victims, and an internment camp during World War II. Now owned by the Park Service, the immigrantion station has recently reopened after a $16-million refurbishment. 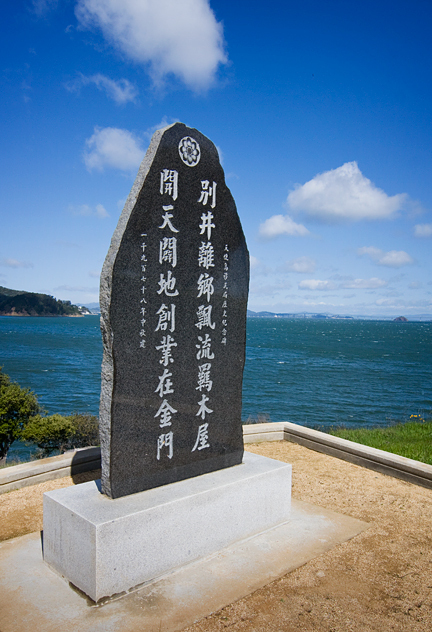 Pictured above is the island's fog warning bell, one of the detention barracks, and a monument installed in 1979 to commemorate the achievements the Chinese immigrants made to America.